﻿ Over the weekend was my youngest daughter's 5th birthday and her father and I gotten her the Leapster Explorer from Best Buy for $69.99. Last year we gotten her the Leapster 2 and that learning game system was good but the picture quality was not so great. 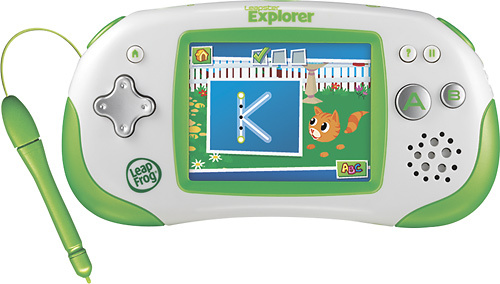 With the Leapster Explorer, my daughter can play games, download e-books, watch videos, and so much more! When my daughter started playing her new game system, she couldn't even put it down! The Leapster Explorer is so entertaining to her that she doesn't even realize she is learning at the same time! The graphics on this system is amazing and the touch screen sensitivity is good using the stylus. I went online to LeapFrog.com and connected her Leapster online to download a few more learning apps (like an iPad) to it since the system only comes with 1 app at purchase. Apps range in prices from $7-$25. Leapster Explorer helps children learn school skills, like reading, writing, and spelling. You can adjust it to what ever learning level you like for your child to help them expand their learning. 1. 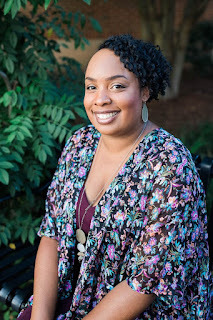 Has great learning games for your child and you can connect the system to your computer and check on your child's progress. 2. When ever your child completes a level, the Leapster Explorer gives out points or stars that can be redeem for things for your child's pet. Parent must connect the Leapster to the computer to redeem the stars or points. 3. Over 60+ games and activities to choose from online and can be downloaded to the system. 5. You can buy games online instead of going to the store to buy them. 5. System is for ages 4-9, so it will grow with your child. 1. When your child first sign on and click on an App, there will be a advertisement of other Leapster Explorer products playing on the system you must watch. 2. With the pet game, when your child's pet runs out of food, shampoo, or any other products, the system must be connected to the computer to restore the pet's supplies. This can be annoying to have your child always come up to you wanting to have their system connected to the computer just to restore their pets supplies. 3. Batteries dies quickly so I do recommend a charger or rechargeable batteries. 4. The system only comes with 1 game!!!! With the money I've paid for it, I would think Leap Frog would add more then 1 free game! 5. To have games with well known characters like Spongebob or Dora, it cost $25 each which can be very expensive. Is Leapster Explorer Worth a Try? I would have to say yes and no. If you don't mind paying the high price for games then its a good system to have. Your child will learn from the system and will stay entertained. But I think your better off gettin your child a V-Tech. Have you bought your child the Leapster Explorer? If so, did you like the system?